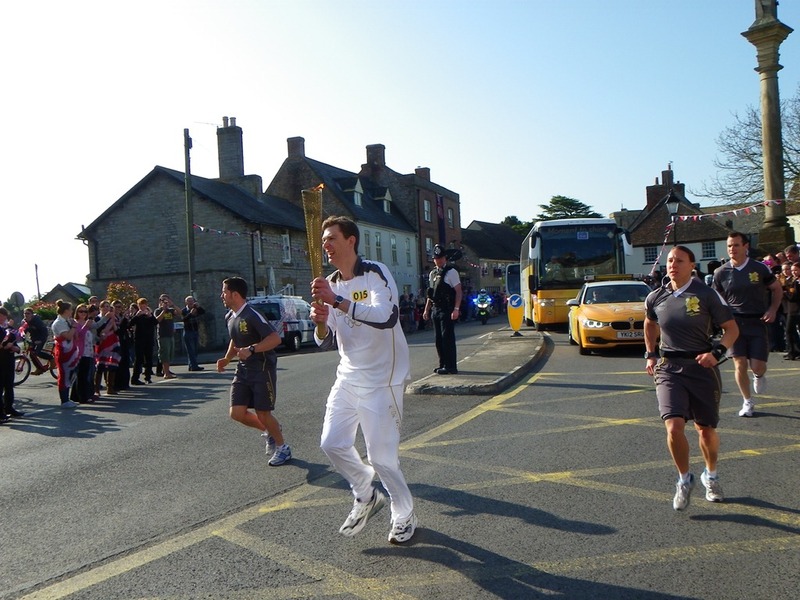 Last week I went to see the Olympic Flame pass through my neighbouring village of Ilchester. The long build up to this event felt like an anti-climax as the flame passed by taking only a few seconds as it continued on its journey wending through the length and breath of Britain. I found it unfortunate that the cavalcade of vehicles accompanying the torch bearers obscured approaching views of the torch until the last moment. It was a pity that apart from one person from Yeovil, none of the torch bearers were local people. I am certainly not opposed to the Olympic Games but I have been and still am dubious at the games being held in the UK at the present time, possibly because the hosting area of Newham is so well known to me. In a sense the reshaping of the area covered by the Olympic Park leaves me with a sense of fond childhood and adolescent memories being physically expunged. I recognise there is a counter argument that the Olympics also brings regeneration to an area but to me this is often followed by a form of re-gentrification which normally entails more wealthier people displacing the less affluent. Apart from friends who live in Newham, I also have many friends living close to Weymouth, which is a venue for the sailing arm of the Olympics. Be it my friends in London or in south Dorset, many of them feel their feathers have been ruffled by Olympic preparations. Weymouth is a prosperous holiday town with the holiday trade making a significant contribution to the local economy. This year some hoteliers abandoned their normal bread and butter holiday trade hopeful of attracting lucrative corporate bookings for the Olympic sailing events, much of which has so far failed to materialise. It remains to be seen how much of the holiday trade is deterred from going to Weymouth this year but the much increased parking charges and other possible street restrictions are unlikely to prove an incentive. If Weymouth does lose much of this important trade, it may well prove difficult to get it back again. I recently went to the marriage of the son of one of my close friends. 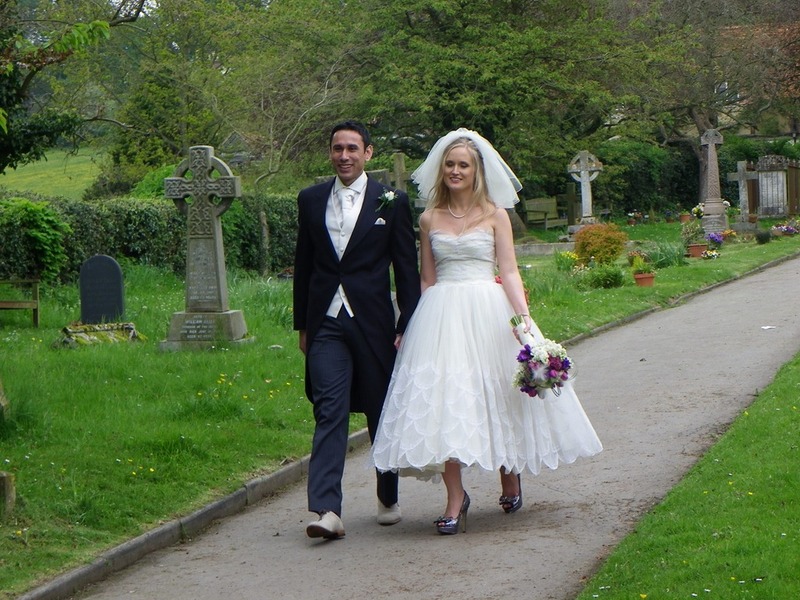 I have known the groom since he was a baby and now he has just turned 30 years of age and the joint owner of a growing and successful web company. How the years seemed to have flown by. 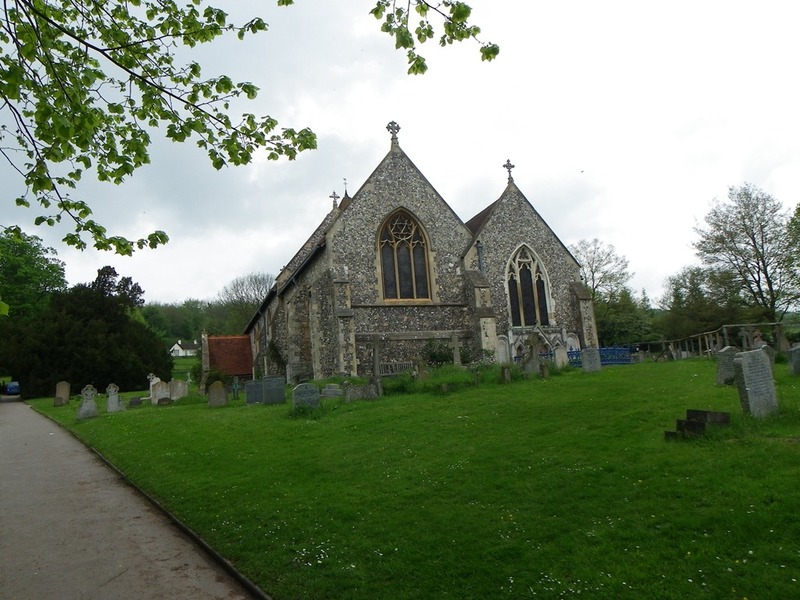 The marriage was held at the brides family church known as St Michaels and All Angels, the local parish church of Hughenden just north of High Wycombe, Buckinghamshire. 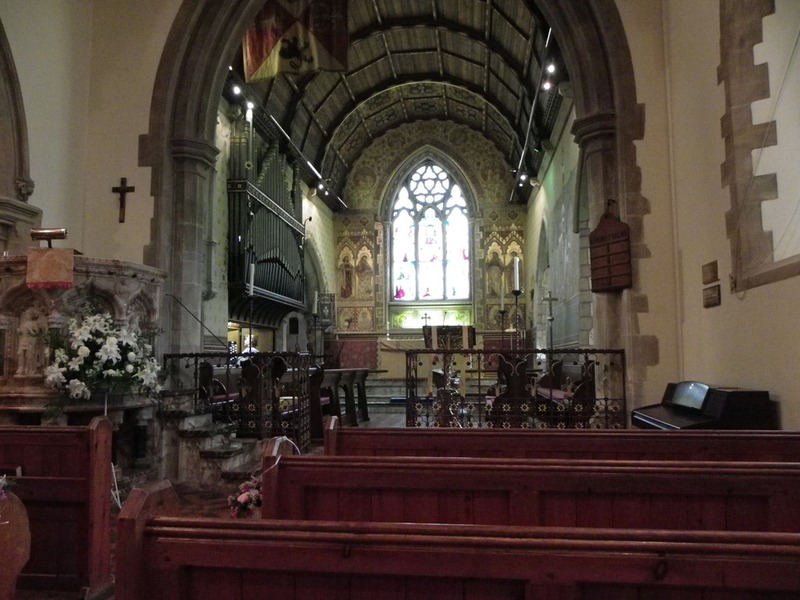 This attractive church set in the Hughenden Valley owned by the National Trust was originally built in the year 1135. This is an area previously unknown to myself but one which I found quite pleasant. The wedding breakfast was held at a nearby Elizabethan country house known as Hampden House which itself has a long history with one wing dating back to the 14th century. The Hampden family after which the property is named are recorded as owning the land from before the Norman conquest. I always find it fascinating whenever the opportunity arises to look at the local history of places I have visited. Britain is certainly rich is such historical treasures and knowledge.